Following France's defeat and the army's expulsion from Western Europe, the British found themselves without allies and threatened with invasion. The nation was placed on alert and prepared to face the might of Nazi Germany alone. In Britain, preparations to protect the civilian population had already been made in the years leading up to the Second World War (1939-45). These were stepped up after the Dunkirk evacuation in June 1940. Air raid shelters were constructed in streets and gardens. Gas masks were issued to everyone and arrangements were made for the evacuation of children from major cities. They were sent to the countryside or overseas to Canada, Australia and New Zealand. 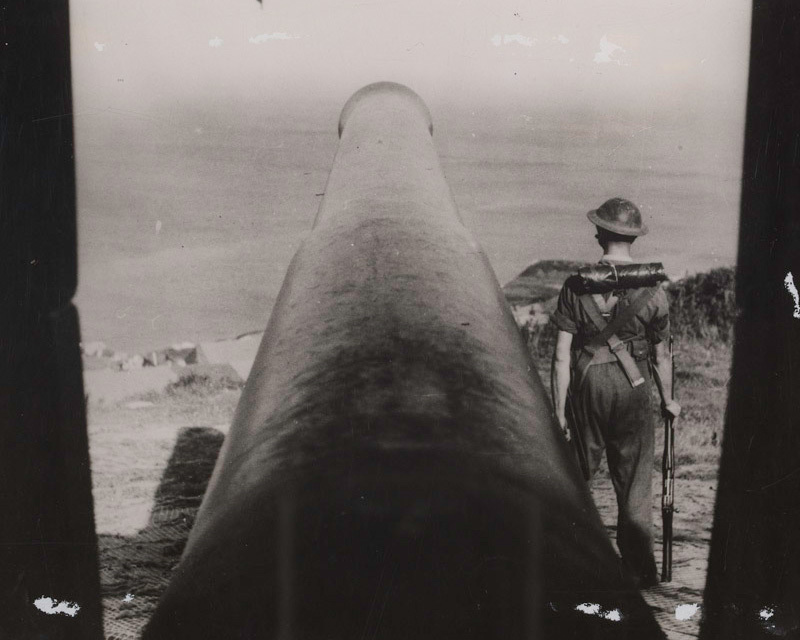 Defences were built all over southern England, beaches were mined and the British Amy, Royal Navy and Royal Air Force (RAF) put on invasion alert. In 1940 the Local Defence Volunteers were formed. They consisted of individuals too old or too young to be assigned to front-line units, or people in reserved occupations. The organisation was eventually re-titled the Home Guard and was a defence against possible German invasion. 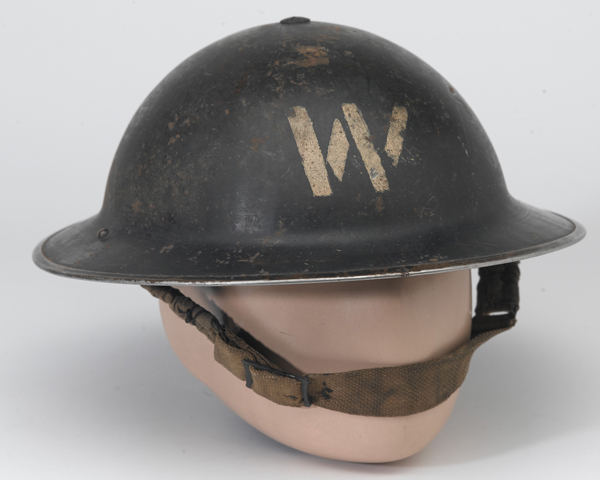 The units were improvised and poorly equipped, but they were dedicated to their duties and helped maintain morale. 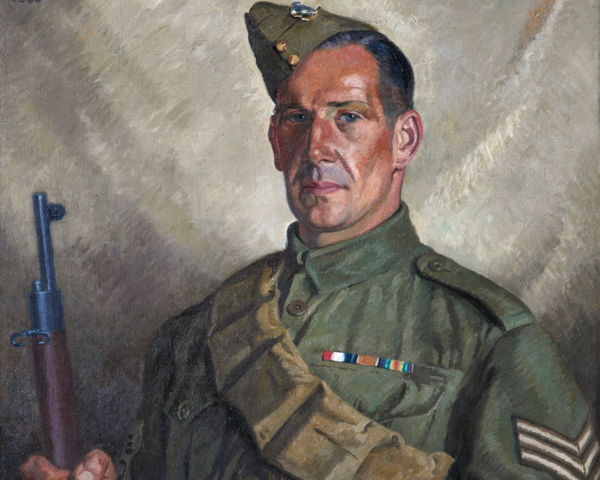 This 1940 painting depicts Percy Stanford of the Worthing Home Guard. Like many other volunteers, he was a veteran of the First World War (1914-18). The artist, Lance Cattermole, recalled that the painting was completed during a German bombing raid on the nearby Royal Air Force airfield at Tangmere. ‘On May 14  the Government made a dramatic broadcast appealing for men to act as Local Defence Volunteers… They were told to register at the nearest police station. I promptly cycled to Hemel Hempstead and gave my details… Our duties were to be the eyes of the Regulars, to patrol the countryside, watching anyone behaving suspiciously near bridges, crossroads or installations... We were warned that the Germans might land wearing British uniforms or in some other form of disguise. All signposts were removed. Above all, we were to know our area backwards: where the nearest phone was, the nearest doctor, the nearest first aid post, the position of the nearest Regulars. If we were manning a post or road block, we must hold it to the last and delay the enemy as long as possible. We were to be on alert for the ringing of church bells, as this was the sign that paratroops had landed… On many an evening over those early months the question uppermost in our minds was “Will they come tonight?”’. 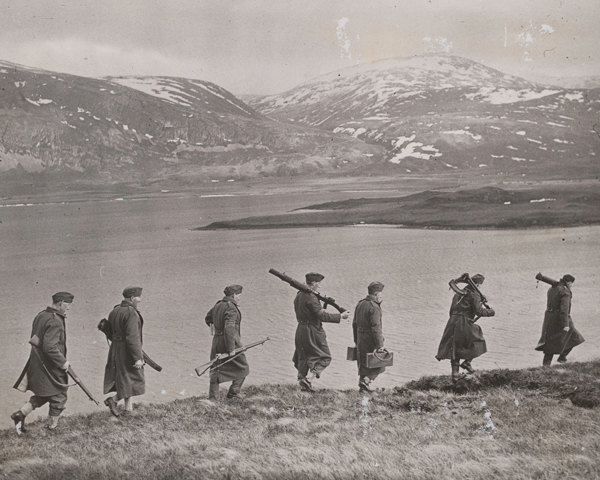 The Auxiliary Territorial Service (ATS) also protected the Home Front. 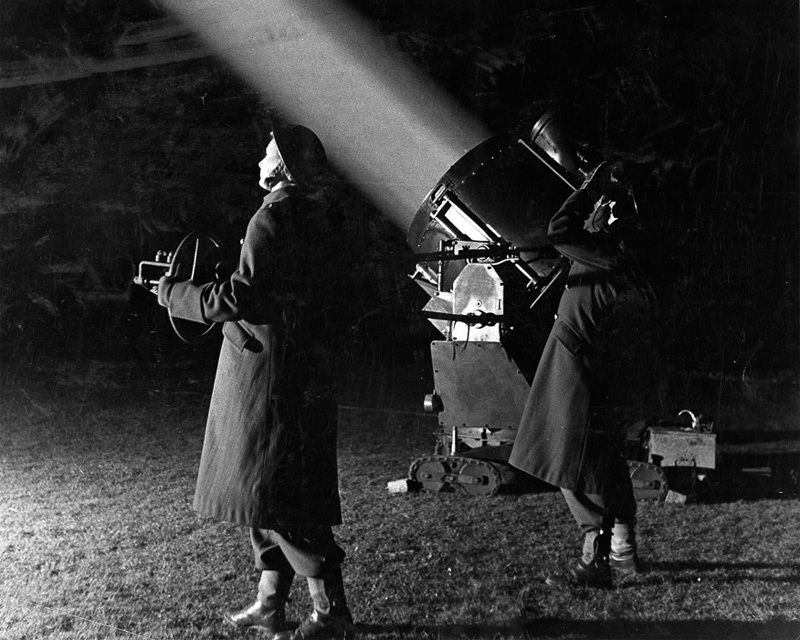 Formed in 1938, the ATS recruited women to work as telephonists, drivers, mess orderlies, postal workers, ammunition inspectors, radar and searchlight operators, anti-aircraft gun crew and military police. By June 1945, there were over 190,000 members of the ATS from all across the British Empire. Throughout August 1940 the German Luftwaffe attacked Royal Air Force airfields in a bid to gain air supremacy prior to invasion. 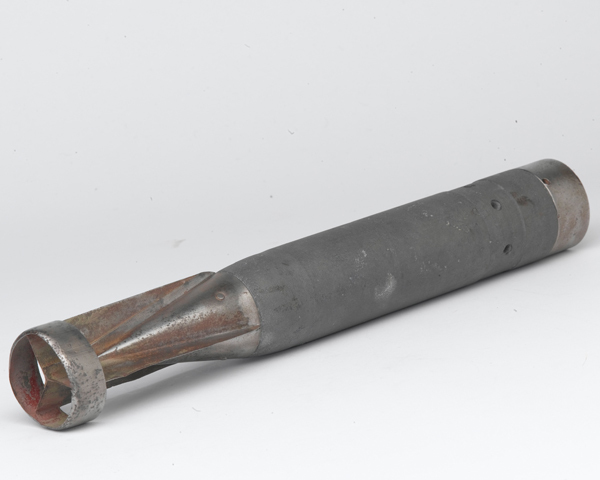 Soon after, on 24 August, the first German bombs fell on central London. This was probably a mistake by German bombers who were aiming for industrial targets around the Thames estuary. RAF retaliation on Berlin soon followed. The Germans then responded by bombing industrial targets and civilian centres across Britain in an attempt to 'soften up' the population and destroy its morale before Operation Sea Lion, the planned German invasion. This was a strategic error as it shifted the focus of the German air campaign away from Fighter Command's hard-pressed airfields. The RAF's subsequent victory in the Battle of Britain (10 July - 31 October 1940) made Hitler cancel the invasion. Although many other British cities were bombed, it was the constant bombing of London between September 1940 and May 1941 that was termed the 'Blitz'. More than 20,000 Londoners were killed and 1.4 million were bombed out of their homes during this period. One in every six people in the capital had no place to live. 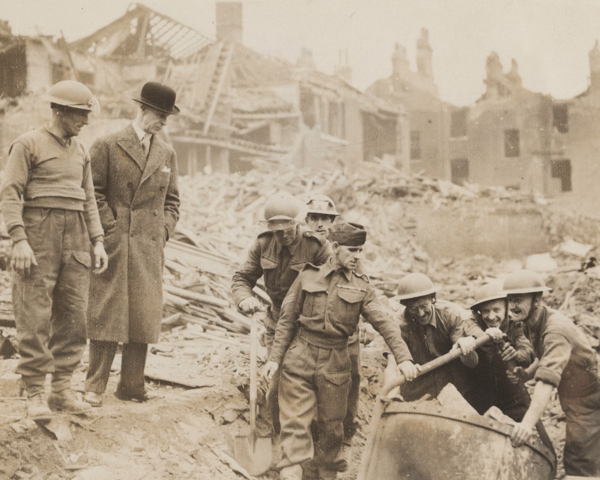 Londoners were assisted by thousands of firemen and Air Raid Precautions (ARP) staff. During raids ARP wardens directed people to shelters, helped enforce the blackout, assisted with fire-fighting and policed bombed-out buildings. 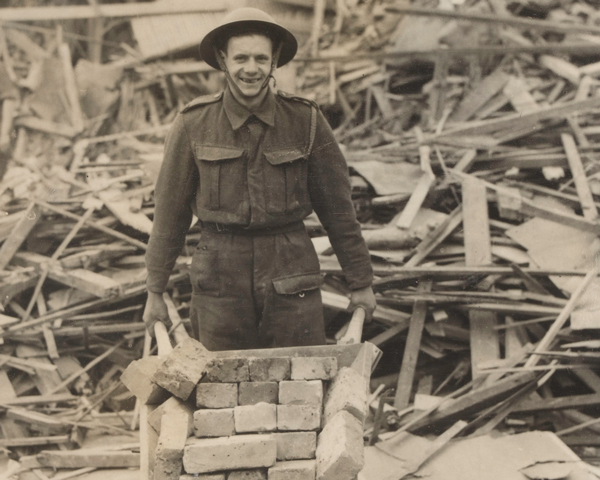 Around 5,000 members of the army's Pioneer Corps, armed with picks and shovels, also helped rescue people and cleared the rubble and debris.